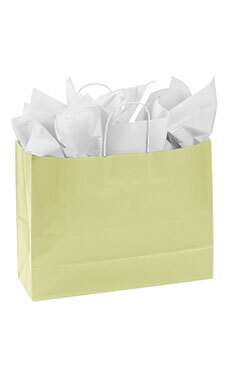 The Large Ivory Paper Shopping Bags offer a stylish way for your customer’s to carry home their larger purchases! Featuring a ivory colored exterior with white interior these bags can double as a gift bag with a little added tissue and some ribbon! Stock up on retail shopping bags today! Sold in a case of 100 bags.